Is there a more beautiful makeup product than a highlighter? All the shimmer and shine of an eyeshadow, but designed to make you look lit from within. They are some of my favorite products to buy and look at, even if all of my favorite shades are only slightly different from each other. Most of my favorites are on more high-end side, but if I know of any dupes I will definitely be mentioning them! My #1. The ultimate Holy Grail. This is my perfect highlighter. 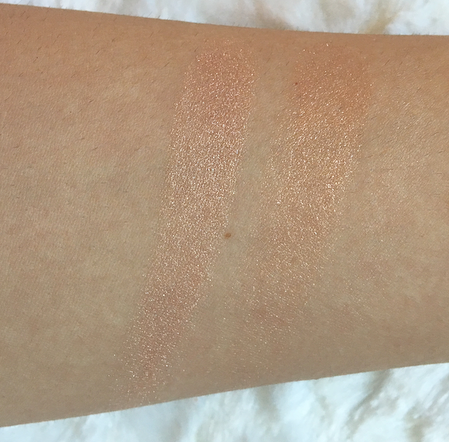 Compared to some of the other Shimmering Skin Perfectors I have, Moonstone is smoother and more variable than something like Champagne Pop. Moonstone can be built up to be super blinding, or it can be sheered out and look more natural. The pale gold is really flattering for my skin tone and I think could work for most light to light-medium skin tones. This highlighter is famous in the blogger world, and rightfully so! In the pan it doesn't look like much, but as soon as it is swatched it gives off the most beautiful sheen. I find this one really easy to use and very wearable, perfect for someone who is just getting into the highlighting trend. 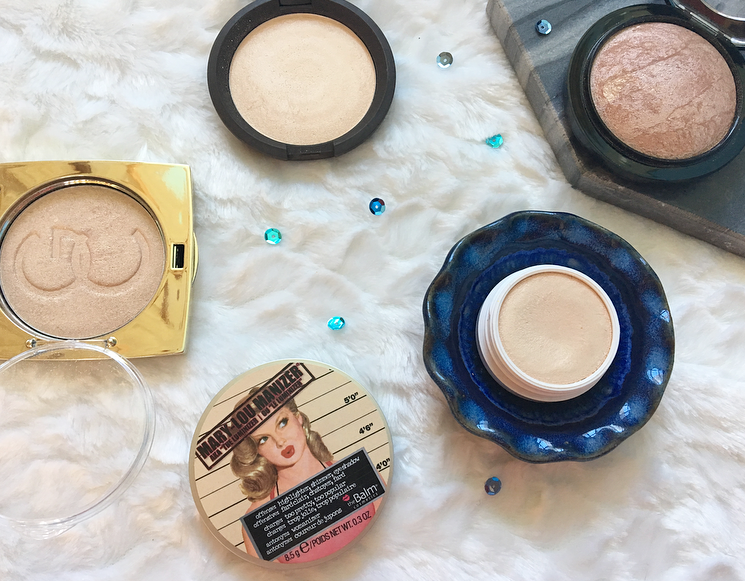 I didn't want to include any non-cruelty free items in this post, but I couldn't skip over this highlighter! Soft and Gentle is definitely not soft or gentle, as it is a blinding highlight. This one has some noticeable shimmers in it and a peachy undertone. I think that Elf's baked highlighter in Blush Gems is an extremely similar color, but the formula is much rougher than MAC's to me. 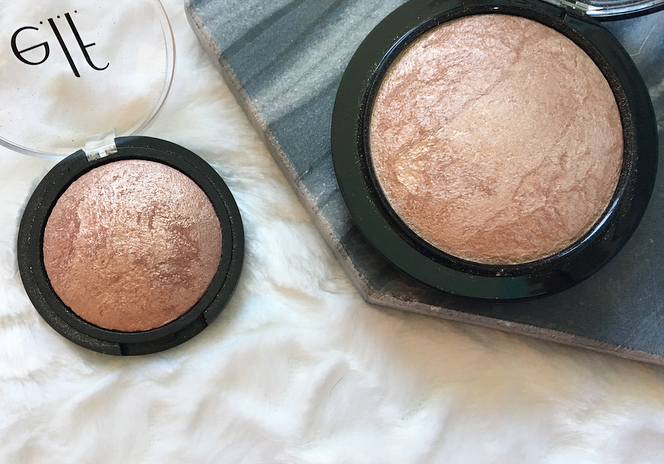 It's definitely worth looking into if you want an affordable or a cruelty-free dupe for MAC's popular highlighter! Just remember to scrape off the top layer, otherwise there is no pigment to it. I think that the Colourpop highlighters are the best drugstore-priced highlighters that I've tried. They have such an interesting formula: moussey and creamlike, but not an actual cream. Lunch Money is a beautiful champagne shade that blends so nicely into the cheekbones. They have a ton of different shades, from light pearl to pink to bronze, so there should be one for everyone. For a truly blinding highlight, look no further. This formula can practically be seen from space--perfect for a night out! Each of the Star Powders are named after famous Hollywood women, such as Grace Kelly or Marilyn Monroe. I of course went for the one inspired by Audrey Hepburn, even if it does have a stronger gold undertone than I'm used to! 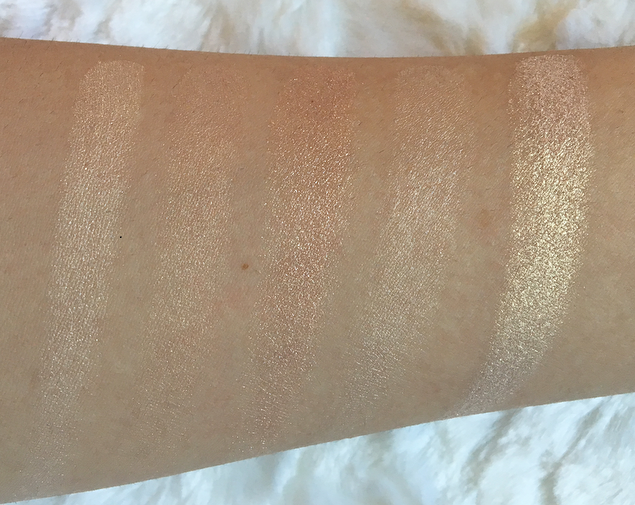 16 comments on "Holy Grail Highlighters"
I need to get a full size of Moonstone, it's so pretty. Mary Lou is also a favorite. I have Soft and Gentle on my wishlist. Mac Soft and Gentle is one of my favourite highlighters ever. I'd love to try the Mary Louminizer! The Becca highlighter in Opal is literally my every single day highlight haha obsessed! I love Becca Moonstone too! Sometimes I like to use the liquid version and mix it with my foundation. I don't think I have a HG highlighter yet, I am just too fickle for it. I do reach for Becca highlighters the most and my Marc Jacobs Dew Me stick highlighter. You need to try Wet N Wild highlighters ! They are amazing!